Host a proper web site for SAEEA. Open membership for ex-Saudi Aramco employees' dependents. To form a social group like marriage bureau, etc. To finalize the draft for the Bye-Laws of SAEEA. To locate further ex-employees in Karachi and increase the membership - at present we have 148 regular members and we hope to increase it further. Kamal Ahmed Farooqi, President, SAEEA: Mr. Kamal Farooqi started his service career just after secondary schooling in 1956 with the Government Audit Office. He worked with the Agricultural Development Bank from 1960 to 1964. In the last quarter of 1964 he joined the Sports Board Organization and continued there until 1977. In 1979, he joined Aramco and stayed with Juaymah Gas Plant for 15 years in the Planning and Programs Division holding several positions until 1994. In 1994, he moved to Yanbu and worked for the Refinery Department (Ex-SAMAREC) where he successfully assisted and developed several projects and Saudi employees in different business fields such as Personnel, Loss Prevention and Environment. He took early retirement from Saudi Aramco in the year 2000. Mr. Farooqi says his time with Saudi Aramco was memorable and he feels proud to be a part of a well reputed organization. Altogether, he accumulated 21 years and 6 months service. He still misses his colleagues and friends. Engr. Iqbal Ahmed Khan, Vice President, SAEEA: Engr. Iqbal Ahmed Khan brings 40 years of experience in the Oil Industry. A 1969 graduate in Mechanical Engineering from NED Government Engineering College, Karachi, Pakistan, and started his career as a Trainee Engineer with an Air Conditioning Consultant Company in Karachi. Prior to going to Saudi Arabia in the late seventies he worked with Pakistan Petroleum Ltd., the discoverer of natural gas in Pakistan, for eight years. PPL assigned Iqbal to travel and work in most of the well known oil and gas fields of Pakistan. He retired in July 2006 from the largest oil producer of the world, Saudi Aramco. Iqbal worked in one of the onshore/offshore oil fields of Saudi Arabian Oil Company which produces the most expensive crude oil for the Kingdom. He worked in all the disciplines of an oil industry and considers himself as an "OILMAN". Presently Engr. 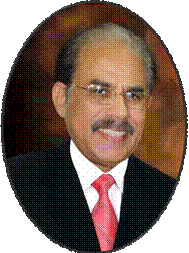 Iqbal A Khan is the Vice President for the Saudi Aramco Ex-Employees Association (SAEEA), Local Council Member and Think Tank Committee Member of Institution of Engineers (IEP) Pakistan, Karachi Centre, Global Content Manager for the largest Virtual NGO of the world named as ContactPakistan.com (CP) last but not the least, he is a Trustee of NEDian Social Engineers Trust (NEDian-SET). 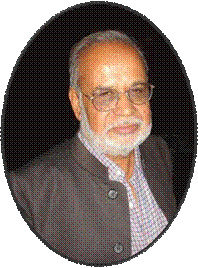 Mohammad Abdul Mateen, Coordinator and Founding Member, SAEEA: Mohammad Abdul Mateen obtained a Bachelor of Arts degree in 1972 from Karachi University, Pakistan. He has 42 years of experience in Human Resources. Out of 42 years experience, Abdul Mateen has 10 years experience with the Government and two other well reputed organizations in Pakistan. 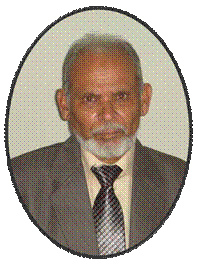 Abdul Mateen worked for Saudi Arabian Oil Company for 32 years (1974 to 2006). During this period, his entire services were with Human Resources; mainly in recruitment. For the purpose of hiring people for Saudi Aramco, Mateen traveled to different countries of the World. Therefore, Mateen has extensive experience doing recruitment from all over the World. Abdul Mateen is one of the founding members of Saudi Aramco Ex-Employees Association. For over a year, he has been heavily involved in developing SAEEA and gathering all Sindh based Ex-Employees of Saudi Aramco. A good number of ex-employees became active members of SAEEA as a result of his good relations with them and his day and night struggle. 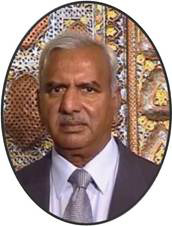 Ghulam Qutubuddin Khan, General Secretary and Founding Member, SAEEA: Ghulam Qutubuddin Khan received a Bachelor of Business Administration in 1969 from the Faculty of Business Administration, Karachi University, Pakistan. 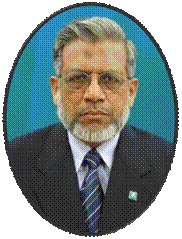 He has 41 years of working experience to his credit: Planning & Program Analyst, Oil Supply Planning & Scheduling Department (OSPAS), Saudi Aramco, Dhahran (1974-2006); Audit Department, State Bank of Pakistan (1971-1974), Karachi; Research Support Services, Pakistan Institute of Development Economics, Karachi/Islamabad (1965-1971). 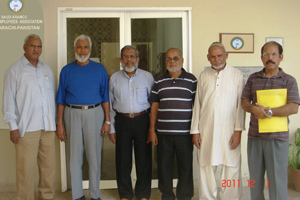 As the General Secretary and founding member of SAEEA, his PR (Personal Relationship) and contribution has given a boost to the SAEEA growth in Karachi, Pakistan. 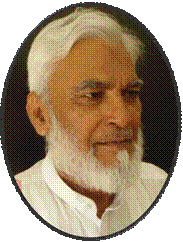 Sher Ali, Treasurer, SAEEA: Sher Ali obtained a Bachelor of Arts degree in 1972 from Karachi University, Pakistan. He has 35 years of working experience: 1973-1974 - Training Department, Saudi Aramco, Dhahran; 1975-1997 - Public Relations Department (Photo Lab. ), Saudi Aramco, Dhahran; 1997-1998 - Project Support & Contracting Services; 1962-1970 - May & Baker Ltd. Karachi; 1971-1973 - Oil & Gas Development Corporation of Pakistan. As the Treasurer for SAEEA he is a dedicated worker to the association. Shafiq Ahmed, Joint Secretary, SAEEA: Shafiq Ahmed obtained a Bachelor’s Degree in Humanities in the year 1977 from Karachi University, Pakistan. Shafiq has a total of 40 years of working experience: Australasia Bank Ltd., Karachi - 1967-1969; State Bank of Pakistan, Karachi – 1969-1977; joined Saudi Aramco in 1977 and was affiliated with Media Production and Operations Department (Aramco Channel 3 (HZ22) in 1981 until retirement on 31st December 2007 (As TV/Film Reviewer/Supervising Film Library/TV Film Librarian & Staff Analyst Planning & Program). He enjoyed working with Saudi Aramco, an unforgettable past.